How to Make Yummy Pizza Pasta – Italy may be famous for its fashion and architecture, but even more so for its cuisine. 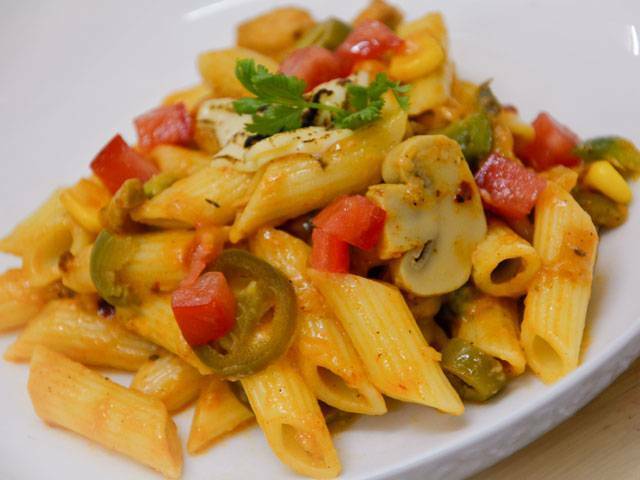 There are two Italian experiences that food aficionados cannot seem to get enough of – pizza and pasta. What set these two dishes apart are the endless ways in which you can create them; tailoring them to your own palate and preferences. That’s one of the reasons why these are two of the most readily available food items across the globe. You may not find a single French restaurant to satiate ratatouille cravings within your city, but you’ll certainly find many serving a variety of authentic (or adopted) pizzas and pastas. Back when I was a kid, I used to hate vegetables and I detested cheese (can you believe it? ), but pizza changed my life. I started enjoying the then-outlandish ingredients such as mushrooms, olives and jalapeños – mine was an instant love affair with oregano. One of the first memories I have of my kitchen adventures is making pizza at home. Luckily, it turned out to be an instant hit with friends and family. There was no turning back after that, and it wasn’t long before I started relishing the rich, cheesy goodness of pasta too. My kitchen is my sanctuary and I love trying out new recipes. I often step into the kitchen with a specific craving, but there are these rare moments of insanity when I attempt to create something new. I still remember that balmy July afternoon approximately two years ago; I came home from work and headed straight to the kitchen, only to be greeted by empty pots and pans. As my wife hadn’t cooked anything, I told her I’d try something experimental – something that would satisfy my pizza/pasta (P&P) craving. That memorable culinary escapade resulted in the masterpiece you are about to read now. 1. Put pan on a stove and turn it on to medium. 2. Add olive oil to the pan and let it heat. 3. Once the oil is hot, add the garlic and onions to the oil and cook for a minute. 4. Add chicken and mushrooms to the pan and cook till the chicken is tender. 5. Add salt, pepper, red chili flakes, oregano, Ajino moto, chili sauce, and pasta sauce to the chicken and cook for a minute. 6. Add jalapeños , corn, capsicum, olives, mayonnaise, cheddar and mozzarella to the sauce and mix well. 7. Turn the stove off as soon as the cheese is melted and stringy, as you don’t want to overcook the vegetables. 8. Gently fold in the penne pasta so that it is coated evenly with the mixture; patience is essential as you don’t want to turn the penne into pulp. 9. Serve with a garnish of cheese, a dash of oregano, tomatoes, and a few slices of garlic bread on the side. I use a cooking torch to give a nice sear to the cheese. If you’re on the lookout for a rustic, delectable and hearty meal, this recipe fits the bill perfectly and satisfies your P&P cravings. Needless to say, you can add as little or as much of anything listed above to suit your taste. I assure you that this creamy, cheesy, aromatic dish is a “party in your mouth” just waiting to happen, so why not get started right away?